In 2011, TIRF conducted a national survey of more than 2,500 Canadians which revealed that, with the exception of ABS and traction control, less than one-third of Canadian drivers reported being familiar with various modern safety features. 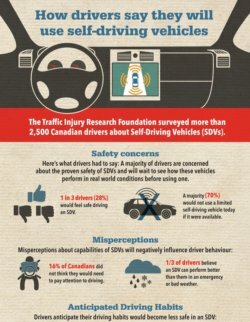 Despite the fact that many Canadians lack familiarity with several safety features, the majority of drivers nonetheless report that they believe that safety features would be easy to use. However, many of them do not believe vehicle safety features will make them a better driver. 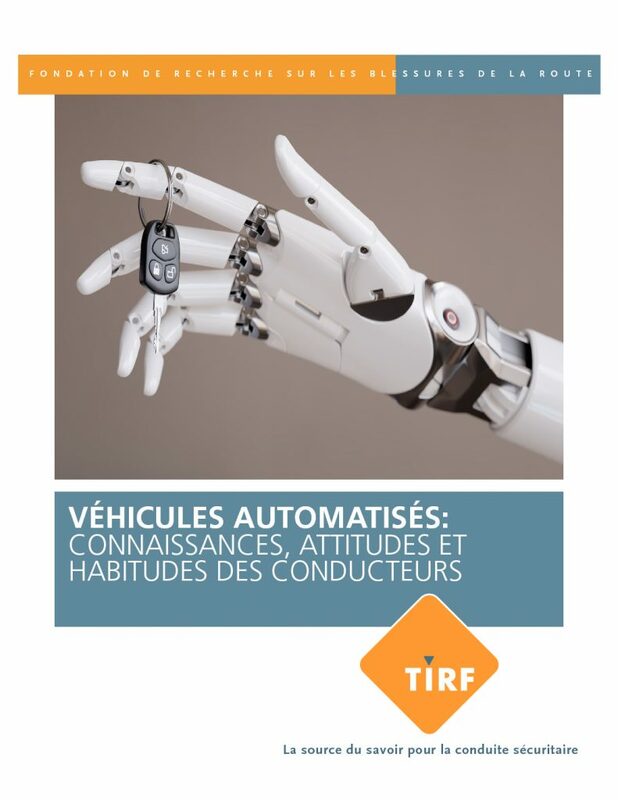 Based on the results, in 2013, TIRF launched its first bilingual national education program, created with funding from the Toyota Canada Foundation. 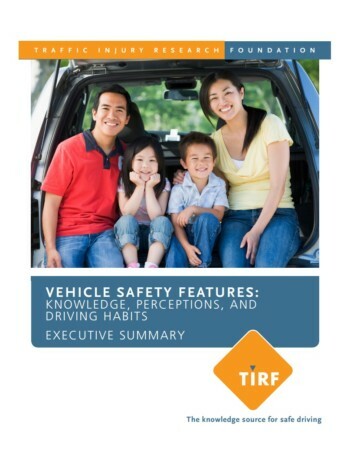 Brain on Board is a one-stop-shop to learn about the many vehicle safety features that are rapidly becoming standard on vehicles, and how to maximize the protection they provide by combining them with safe driving behaviours. It contains a wealth of free online and downloadable resources, videos, posters, diagrams, fact sheets and flash cards. Visit www.brainonboard.ca or www.cerveauabord.ca. With continued sponsorship from the Toyota Canada Foundation, in 2016, TIRF conducted a survey on behaviours, attitudes and knowledge related to automated vehicles. It showed that at least 16% of drivers believed they would not have to pay attention to driving in a limited self-driving vehicle. These data help inform governments, road safety stakeholders, and, auto manufacturers about the development of appropriate public awareness campaigns to ensure drivers are equipped and able to safely interact with more sophisticated features and automated vehicles.